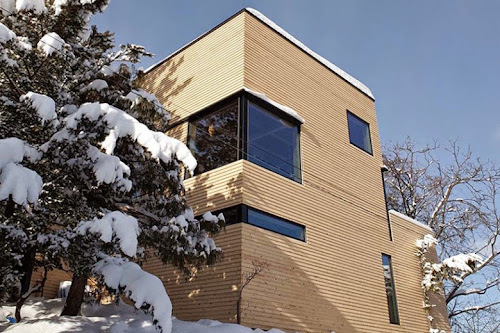 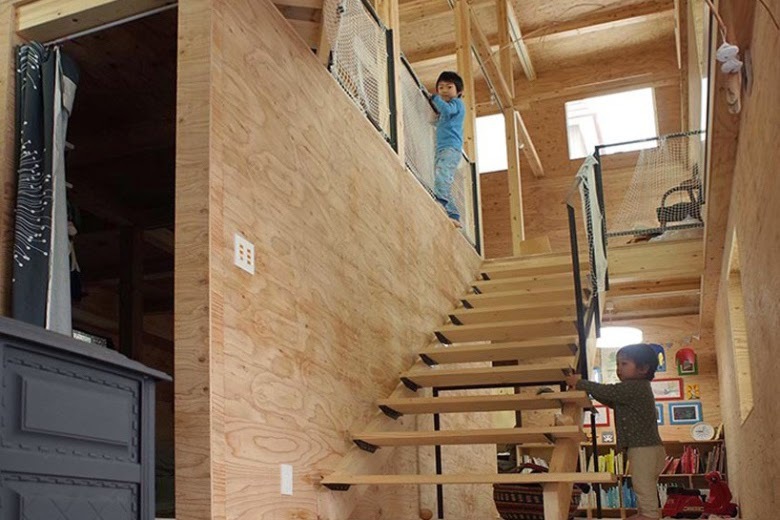 While it might look like a traditional home from the outside, this dwelling designed by Japanese architect Ryo Yamada is anything but ordinary. 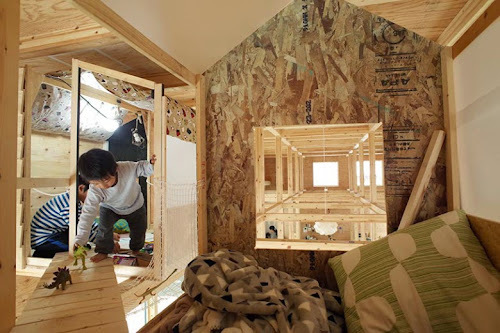 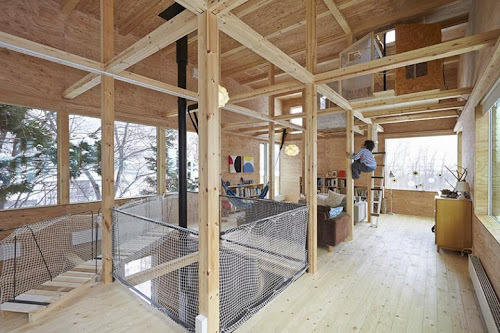 Located in Sapporo, a city characterized by long, harsh winters, the pine structure features an unfinished interior and a top tree house floor. A series of ladders reach up to the temporary tree houses above, which are built using pillars and beams. It is Yamada’s dream that the home remains unfinished, so that it can continue to change along with the family who inhabits it.